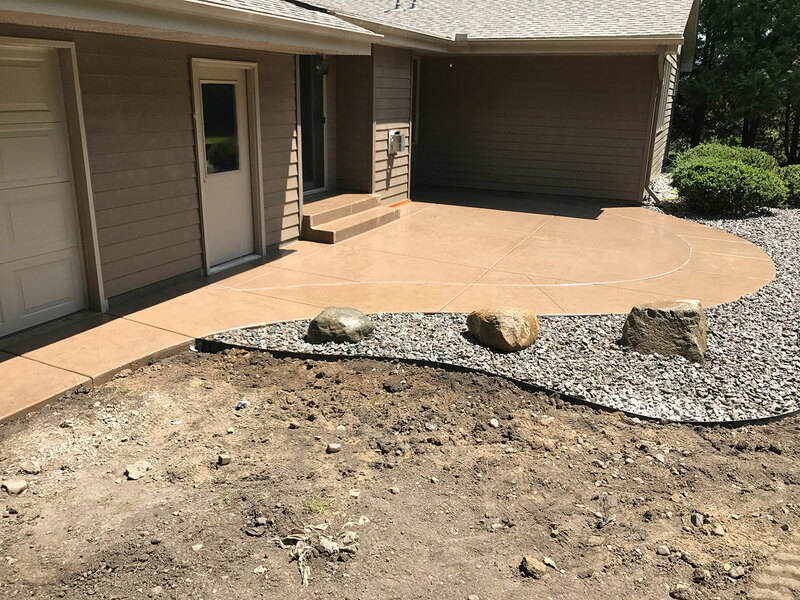 Stamped concrete refers to the process of decorating concrete once it has been laid by an installer. 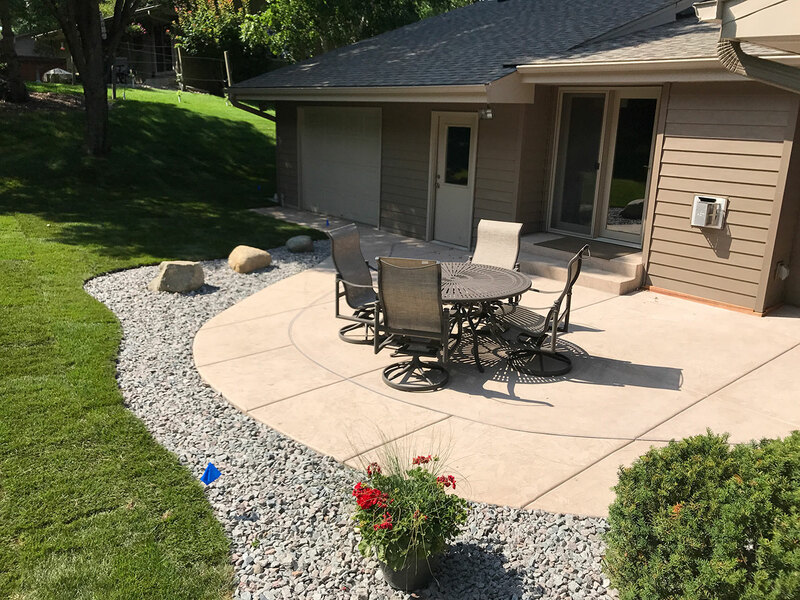 Stamped concrete serves is a low-cost alternative to other materials for paving and decorating your outdoor patio. 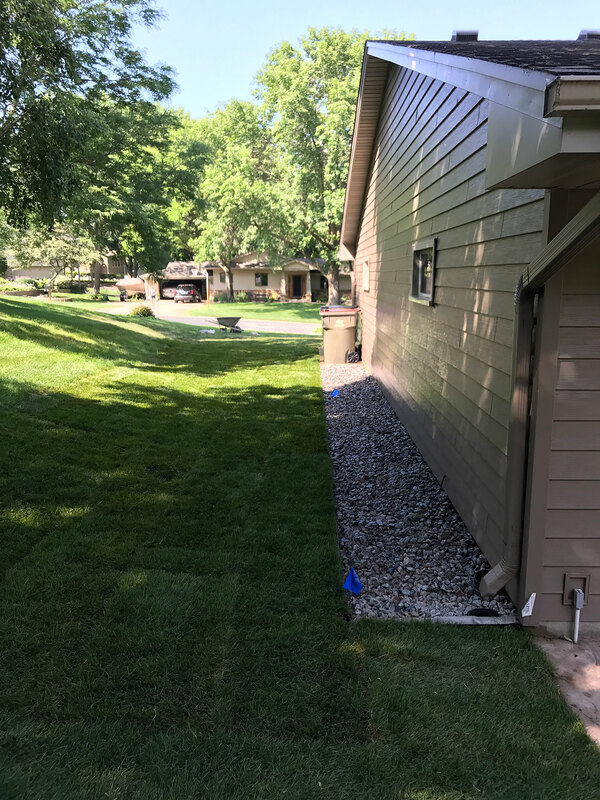 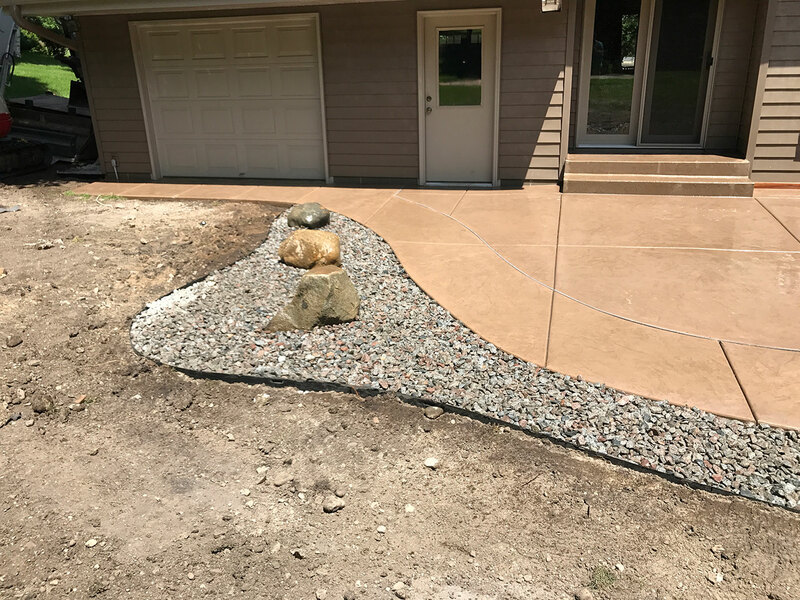 It does cost more than a concrete slab or asphalt, but it is more attractive and less expensive than stones or pavers. 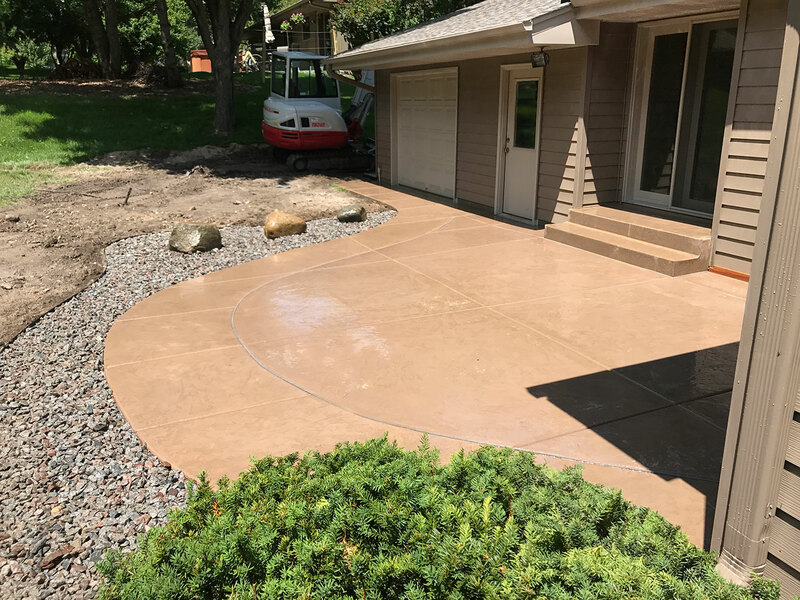 Stamped Concrete is poured and stamped with a pattern to resemble wood, brick, or flagstone.